We made it through the harvest season to see how various Portland breweries were celebrating the fall harvest season and were having fun doing it. For craft brewers, September has a holiday as brewers, home brewers and hops aficionados eagerly awaiting that time when hops are ready for harvest. Thanks to the Pacific Northwest’s mild air, rich soil and rainfall, this area grows most of the United State’s hop production. 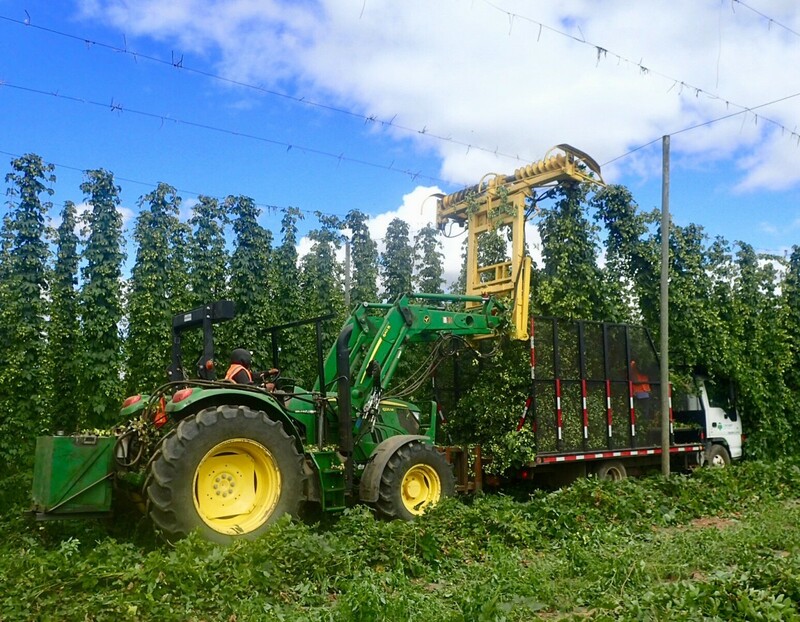 Oregon represents the second largest hop producing state in the US, with most hops grown in the Willamette Valley. As the hop harvest gets underway from mid-August to mid-September, brew pubs begin to decorate their bars with garlands of hops, a sign that their unique seasonal fresh hop beers are now on tap. For those not familiar with this fall delight, these beers are made from hops just picked off the vine and used within hours of harvesting. Most hops though will be dried for use throughout the year. Portland breweries live up to the city’s reputation as a beer lover’s paradise, by serving up some of the more creative expressions of this season. 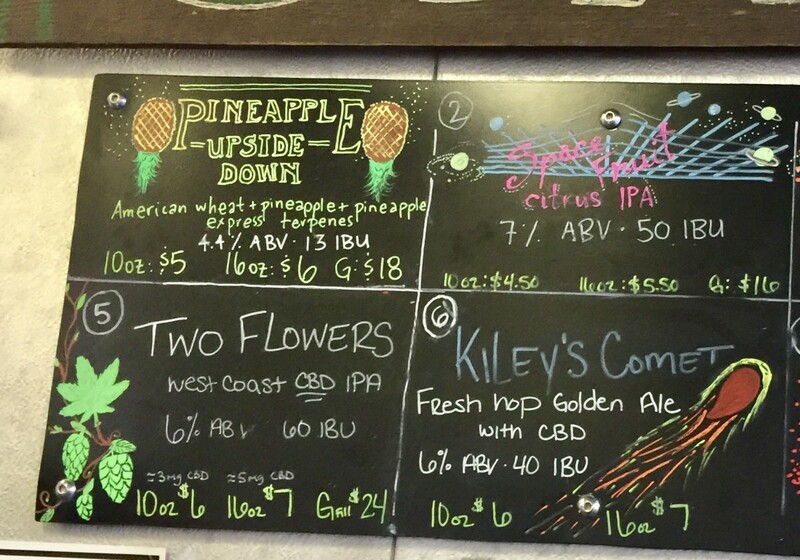 For example, Coalition Brewing featured Kiley’s Comet. 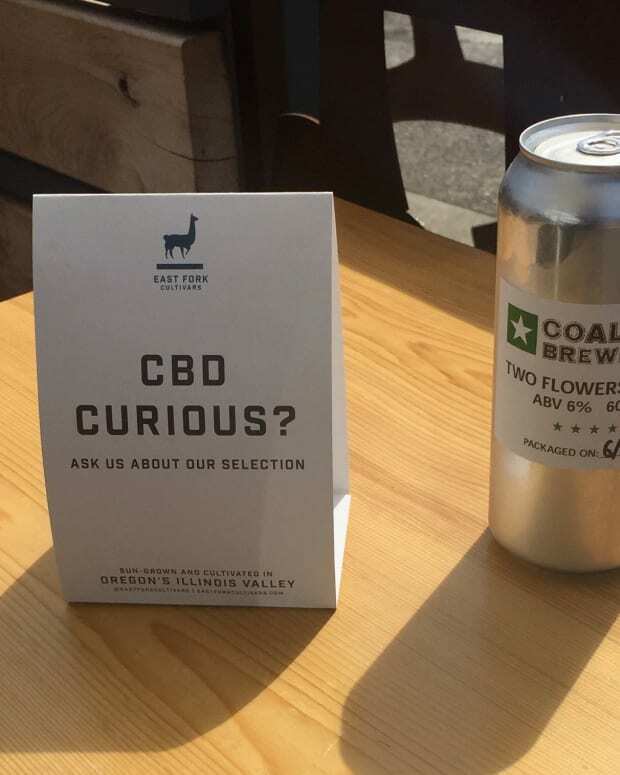 This Fresh hop CBD Golden Ale made with Comet hops was the first CBD fresh hop beer I’ve encountered. They also had on tap a wet fruit fresh hop version of their Space Fruit Citrus IPA made with Centennial Hops. 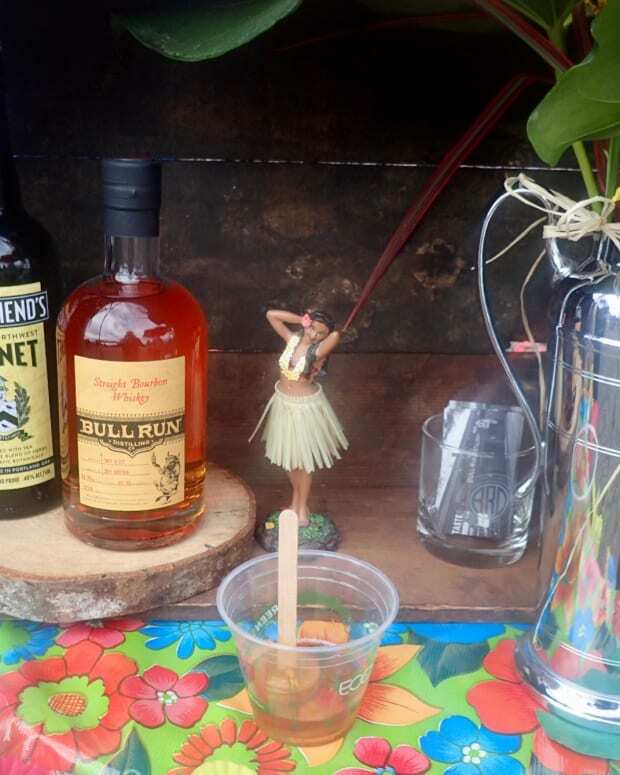 The fresh hops festival season kicks off with the Portland Fresh Hop Pop-Up Beer Fest presented by Portland Beer Week and Burnside Brewing Co. This pop-up outdoor beer garden held in the parking lot of Burnside Brewing had ten rotating taps of fresh hop beer and featured brewer nights over a ten-day period. Also, on Sunday, growler fills are available for those wishing to savor their favorite fresh hop beer off site. The Portland Fresh Hops Fest organized by the Oregon Brewers Guild gave beer lovers and opportunity to sample over 60 fresh hop Oregon beers. Held this year on September 28-29 at Oaks Amusement Park, this festival is the state’s largest celebration of Oregon&apos;s annual hop harvest. Each brewery only featured one beer, so attendees were encouraged to arrive on Friday or early Saturday in order to ensure the best selection. The fresh hops season wound down with BridgePort Brewing’s Second Annual HoptoberFest PDX Block. 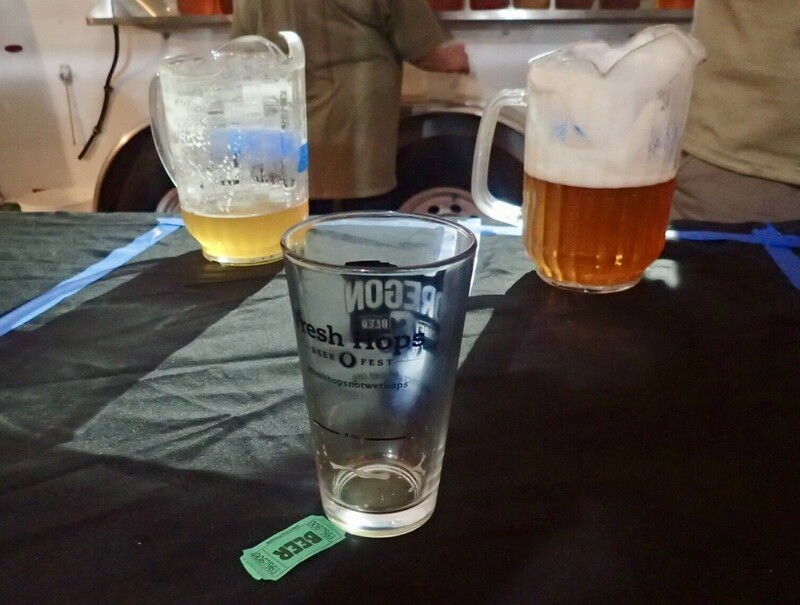 Held this year on Saturday, October 6, 2018, this Oktoberfest-inspired party, which took place adjacent to their brewpub, showcased 4 fresh hops beers including a malty Marzen-style fresh hops beer. They also had on hand sausages from Olympia Provisions, German-style pretzels from Fressen Artisan Bakery, music, and a photo booth. A dollar from every ticket and beer purchase was donated to the Oregon Food Bank. Seasonal fresh hops beers are available at area pubs until they run out. While one can purchase growlers and cans of select fresh hop beers, these beers do not last long and should be consumed by November. Then one has to wait until the start of next fresh hops season.